Why would I need self storage in Bridgeton, MO? There are a variety of reasons why you might need self-storage in Bridgeton, MO. How much is a storage unit in Bridgeton, MO? The cheapest storage unit in Bridgeton, MO is $30.00 per month. What size storage units do you have available in Bridgeton, MO? In Bridgeton, MO we have sizes that range from 5'x5' to 10'x30' to suit your storage needs. How much is it for a 5'x5' storage unit in Bridgeton, MO? The cheapest 5'x5' storage unit in Bridgeton, MO is $30.00 per month. Bridgeton is a relatively small town in eastern Missouri. Eleven miles away is the large city of St. Louis, easily accessible with just a short drive. Bridgeton got its start as a city in the mid-19th century, but explorers went through the area as far back as the early 18th century. Today, you can learn more about Bridgeton's history at the town's Missouri Historical Society Museum. You'll be able to enjoy Bridgeton's proximity to St. Louis, thanks to easy access to transportation routes in any direction. 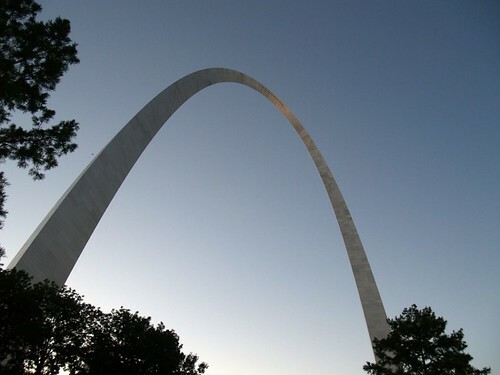 St. Louis is famous for its Gateway Arch, a striking landmark that adorns the city's downtown. It also has plenty to offer for entertainment, shopping and dining. You can cheer on the city's professional baseball and football teams, the Cardinals and the Rams. Or, to get a taste of the city's arts and cultural scene, you can visit the enormous Forest Park, the site of the 1904 World's Fair and now home to several museums. Bridgeton offers a well-rounded parks and recreation program, including youth and adult sports, fitness classes and senior citizen services. The city is host to a golf course, an aquatic center and a large athletic complex in addition to its several parks, so you'll have plenty of choices for recreation. Many Bridgeton locals commute to Kansas City for work, where a number oflarge companies are headquartered. You can make the short drive or use public transit. There are also a variety of jobs in Bridgeton, including at the headquarters of Trans State Airlines. Pattonville School District is responsible for the public schools in Bridgeton. Utilities: AmerenUE and Laclede Gas are the primary energy providers in Bridgeton and the greater St. Louis area. American Water is one of the major water suppliers in the area. Garbage and Recycling: Republic Services facilitates trash and recyclables collection. Transportation: The Metro St. Louis transit network serves Bridgeton and the surrounding communities. The Bridgeton housing market is very affordable, with prices that are well below the national average. As the city grows, so does demand for housing, and prices are on the rise. There are also a variety of rental options in the city, but apartments tend to go quickly. Our lowest priced units in Bridgeton, MO average $30.00 per month. 34 people have reserved units in Bridgeton, MO in the past 30 days. There is 1 location within Bridgeton, MO's city limits.